Consumer Disputes Redressal Commission. He is survived by his wife and a daughter. Born on June 19, 1922, Mr Balakrishna Eradi studied in law at the madras Law College, becoming the topper in the Madras presidency. 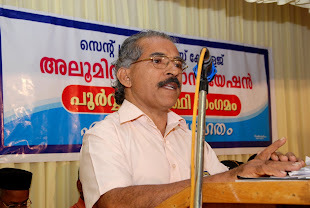 In 1967,Mr Eradi was elevated as a judge of the Kerala High court. He became the chief justice of the Kerala High court on January 19,1980 and was elevated to the Bench of the supreme court in January 1981. He was appointed chairman of the Ravi and Beas Waters Tribunal for adjudication of the dispute relating to the sharing of the Punjab river water among punjab,Haryana and Rajasthan. Mr Eradi retired from the Supreme court in 1987. He was president of the International Centre for Kathakali, Delhi,President of Swaralaya Music Society,Member of the council of Management of Sri Sathya Sai Central Trust since its inception in 1972. The National Press of India Golden Jubilee Award, the Rajiv Gandhi Excellence Award, the Shiromani award and the National Citizenship Award are among the honours he won during his long and eventful career. © window of knowledge 2013. Travel theme. Theme images by RBFried. Powered by Blogger.